In Florida, you can be charged criminally if you drive a motor vehicle on a public road without a valid driver’s license issued by the relevant governmental agency. Penalties could include jail time or fines. More often, the big concern is the fact the defendant will walk away with a permanent criminal record – with all the hardships and hassles that entails. 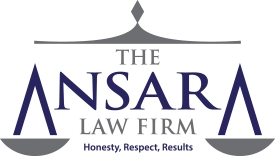 At The Ansara Law Firm, our Fort Lauderdale criminal defense lawyers can help you identify viable defenses to argue the charge should be dismissed – and many are plausible. Even in cases where that isn’t possible, we will initiate negotiations with prosecutors to have the charge reduced, possibly to a moving violation. The goal is to spare you the ordeal of a permanent criminal record. If you have been arrested for the offense of “No Valid Driver License” in Broward, Miami-Dade or Palm Beach Counties, we can help. In the state of Florida, it is illegal to drive a motor vehicle on a state “highway” unless the operator has a driver’s license that’s been issued by the appropriate government authority. F.S. 322.03 spells out the exact definition and the penalties for violation. To “drive” means the individual in question either is operating or is in actual physical control of a motor vehicle. A “motor vehicle” is understood to be any self-propelled vehicle – including a moped – that is not moved either solely by human power. It also excludes motorized bicycles and wheelchairs. “Highway” or “street” in the context of this statute is understood to be the area between the boundary lines of any public way or place. A “driver’s license,” as defined in F.S. 322.01(17), is a certificate that gives a person permission to drive a motor vehicle, assuming all other legal requirements are met. It adheres to 49 U.S.C. 30301 definition of an operator’s license. As understood by federal statute, an “operator’s license” is one that is issued by the state that authorizes a person to operate a vehicle on public roads, highways or streets. Only state-issued licenses or certificates are recognized as driver’s licenses. There are a few narrow cases in which individuals are exempt from having to obtain a driver’s license, even if they are operating a motorized vehicle and even when operating that vehicle on a public road or street. Often, the primary targets of the Driving Without a License charge are foreigners and illegal immigrants. The assertion is that “No Valid Driver’s License” can be charged when a person has only a foreign-issued license, as opposed to an international driving permit or a state-issued license. The practice is based on a requirement of Chapter 322 that was repealed in 2013. Before then, the law mandated foreign nationals produce an international driving permit, as well as the license issued by their home country. But officials realized this resulted in a serious threat to commerce and tourism in Florida. Foreign governments widely decried the practice. That prompted HB 7059 (2013), in which the Florida Legislature repealed that particular part of the law. No longer do foreign drivers have to produce an international driving permit as well as their operational license. As long as a non-resident foreign national has in their immediate possession a valid driver’s license issued by his or her home country. Even so, it’s not unusual for law enforcement officers to try to seek validation for an arrest or traffic citation on the fact that the defendant didn’t have an international driving permit in their possession at the time of a stop. That’s why our criminal defense lawyers recommend foreign nationals always keep their driver’s license on them – and insist the officer writing the citation or making an arrest note that he or she had their foreign license on them at the time. The maximum penalty for driving without a valid license in Florida is 60 days in jail and a $500 fine. Most of the time, drivers won’t receive time in jail, but as a second-degree misdemeanor, it’s always on the table. For this reason, and the fact that it’s an offense that will go on your permanent criminal record, it’s important to seek legal counsel. If you have been arrested, call our offices right away.